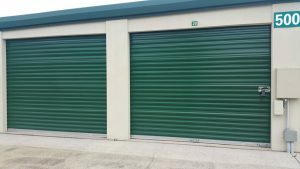 Out O’ Space Storage & Office Park is the ideal choice for residential self storage in Tavares. We have sizes ranging from 5×5 to 20×24 available with climate control and many other exceptional features. Call or email for more information regarding self storage options. We look forward to hearing from you! Moving: No one likes to move and it is never fun, but our high-quality service makes it easier with our broad product offering of climate and non-climate units, large and small units, indoor and outdoor storage, moving and storage supplies, and truck rentals. Selling a Home: Provide an uncluttered appearance to help sell your house using Out O’ Space Storage. Out O’ Space for Personal Items: When you are out of space, call Out O’ Space Storage. Keep seasonal items (for example: clothes and decorations, family keepsakes, furniture, and antiques) in storage. Remodeling Home or Office: If you are remodeling and need a place to securely store your furniture, use Out O’ Space Storage. Home Businesses: Grow with Out O’ Space Storage, looking at us as an extension of your home office and a participant in your inventory management.